Green bonds are all the rage. In 2018, green bond issuance grew a steady 4 percent year-over-year to $162 billion, according to the Climate Bonds Initiative. But once a green bond is issued, how can investors be confident that proceeds will make a measurable difference in the fight against climate change? This is a story of how a bank in Colombia took a performance-based approach to satisfy investors and pivot the construction market towards a more sustainable future. Worldwide, green bonds have typically supported renewable energy projects, with energy efficiency only recently taking a wider slice of the pie. 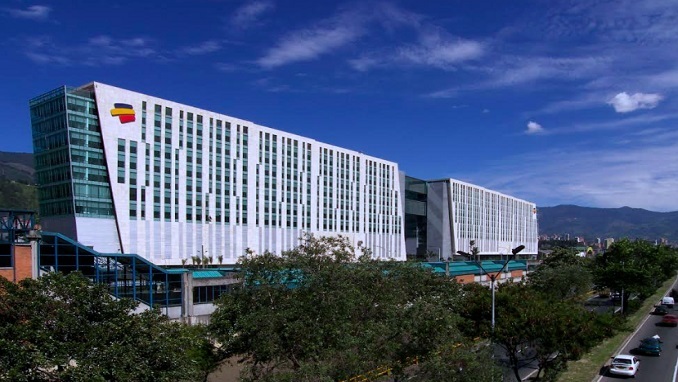 Bancolombia, which is Colombia’s largest commercial bank and the first to issue a green bond with IFC as the sole investor in the amount of COP 350 billion ($117.1 million) in 2016, decided to focus its efforts on green buildings above other areas that it also finances, such as clean production and agribusiness. An adopter of the Equator Principles of risk management and winner of the title “the most sustainable bank in the world” by the Dow Jones Sustainability Index, Bancolombia has a history of success with green credit lines and is proud of its reputation as a champion of sustainability. Here’s how Bancolombia’s model works. The bank provides a variable loan for green construction financing from 0.5 percent to up to 2 percent less than conventional market rates by using its own resources alongside the proceeds of the green bond. The more measurably green the project is, the better the financing rate. Qualified projects must receive a preliminary design certificate from an approved green buildings rating system such as LEED or IFC’s EDGE. If the building owner chooses EDGE, details of the project are entered in the EDGE software with the project required to achieve a minimum of 20 percent less energy, water and embodied energy in materials compared to a conventional building. Certification services for EDGE are offered by CAMACOL, a leading construction trade group in Colombia. In less than one year’s time, 25 projects have been brought forward by developers eager to secure the discounted rate, according to Franco Piza, the Corporate Director of Sustainability for Bancolombia. To create awareness among its clients, Bancolombia held events in 17 cities around the country with 300 property developers participating, often meeting with clients one-on-one. An intensive digital marketing strategy supplemented the bank’s approach, with an online knowledge platform, webinars, prime-time advertising and social media. The approach has worked for Bancolombia, sparking demand among clients to differentiate their properties while saving money through the incentive. At the same time, Bancolombia offers green mortgages to qualifying homebuyers who purchase certified properties at a discounted rate of 65 basis points for the first seven years of the loan. Bancolombia’s long-term strategy is to recoup its investment by creating a better price in the market for subsequent green bonds. Already the bank has issued a second local currency-denominated bond for COP 300 billion ($100 million) without the support of IFC that was over-subscribed 2.8 times, with 72 new investors participating. Next the bank will expand its program to El Salvador and Panama, where it also operates. To respond to demand, Bancolombia supplements bond proceeds with its own capital, with $175 million already invested in green buildings.